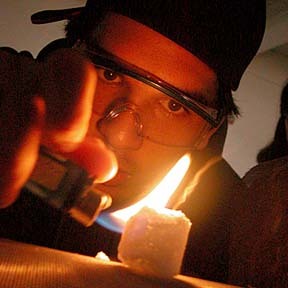 Leighton Kaina, above, a student working with University of Hawaii researchers, lights up a methane ice ball. Stephen Masutani of the University of Hawaii is researching the use of methane hydrates as a potential fuel source. »Roundtable: Where do we go from here?